For this Iron Craft challenge we were asked to create some festive decor. 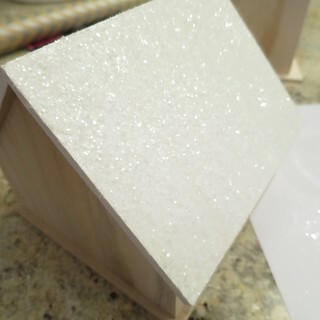 I was inspired by some glitter roofed, felt front houses I saw at Target. They caught my eye everything I was there and I knew I had everything at home to make them other than the wooden houses. So, a quick trip to the craft store and I was ready to go. 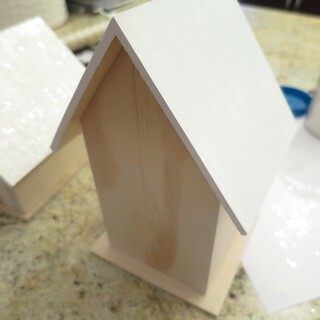 What I ended up using for the wooden house is actually a birdhouse, but since I was just going to show the back it worked fine. 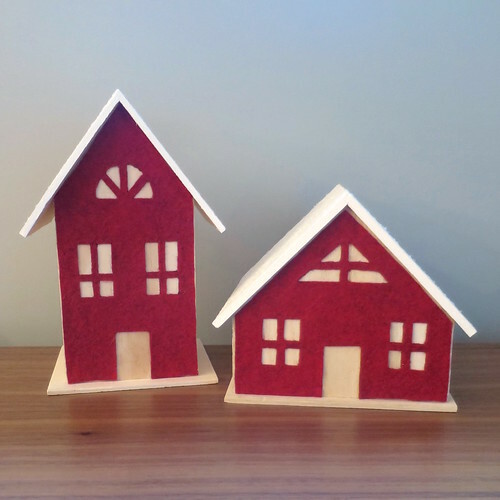 These unfinished birdhouses are pretty cheap, you can get small ones for as little as a $1 and I think I paid less than $5 for these larger ones. I’m quite happy with how these turned out. (Though, I wish you could see the glittery roof better in the photo.) 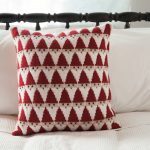 The simplicity of the style goes well with out modern Scandinavian decor. 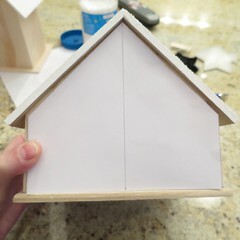 I was very worried about cutting windows that looked even and straight, but taking time with the ruler and exacto knife really made a difference. 1. Paint the roof of the house white. 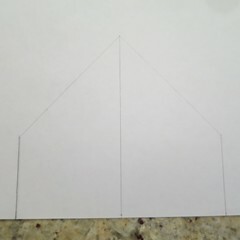 3.Use a ruler to measure the front of the house and use those measurements to draw out a pattern on paper. Cut the pattern out. 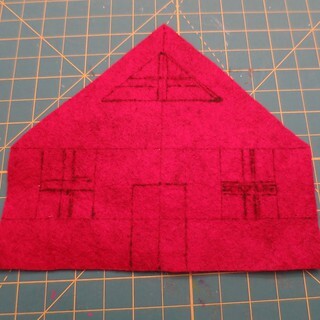 Use the paper pattern to cut the shape out of the felt. 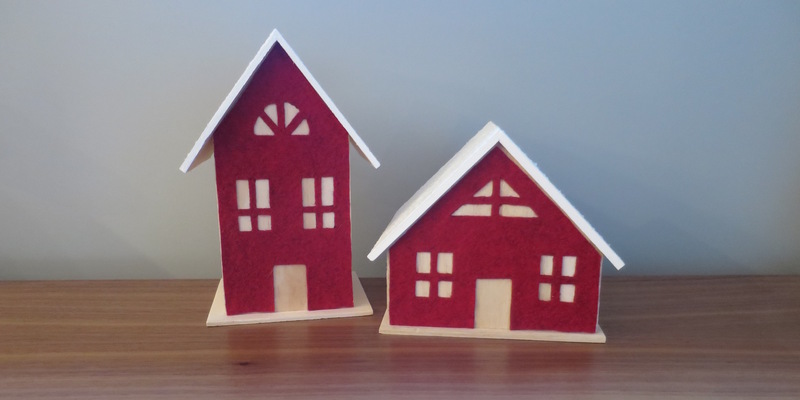 Recheck the felt piece on the front of the house and trim is needed. 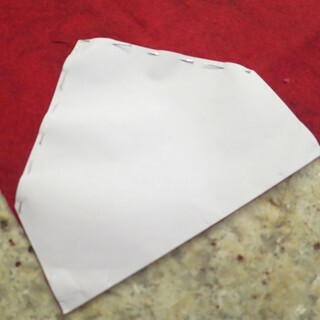 Use the exacto knife and ruler to cut out the pieces. 5. 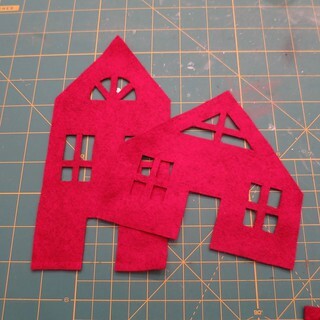 Spread a thin layer of glue on the back of the felt piece, being careful to get to the sides and window panes. 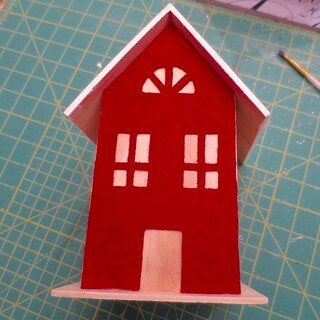 Glue on to the front of the house. 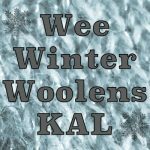 3 years ago by Kat in Challenges , Christmas , Craft Projects , Crafts , Holiday , Iron Craft , Projects | You can follow any responses to this entry through the RSS feed. You can leave a response, or trackback from your own site. This is SO you. A great project. I can’t wait to see your final decorated space.